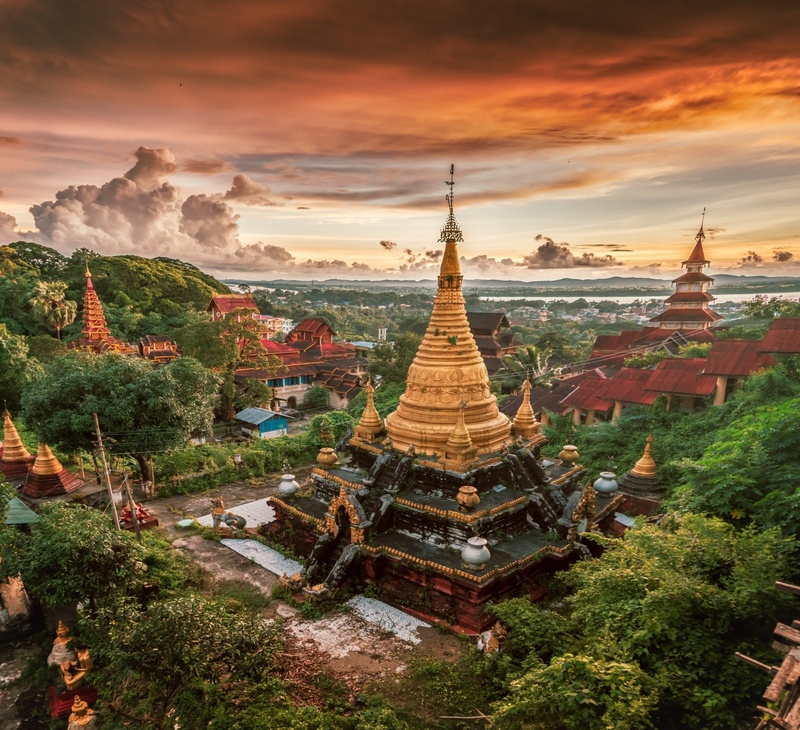 Dreamy temples in Mawlamyine, Myanmar. This photo was shot from Kyaik Than Lan Pagoda temple towards Yadanar Bon Myint. Kyaik Than Lan temple area has really nice views over the city especially during sunset. George Orwell used to hang around in this same place while he wrote his famous Shooting an Elephant novel. The scenery was really dream like and fortunately the sunset was also very beautiful. Mawlamyine is a bit of the tourist trail and gives you better insight to daily lives of local people than Yangon. Especially when you walk around the city after dusk you can see people hanging around in their homes which are open to streets. Tip: The biggest reclining Buddha in the world is about 45 minutes pickup ride away from the city and even though it’s not really a mind blowing site, it’s probably worth a lazy day trip there. Almost USSR like structure and really psychedelicly scary statue exhibition inside the Buddha itself.